Settled onto a narrow ridge above the Warriors Mark neighborhood and Lehman Gulch, the Sunrise Point homes for sale are million-dollar properties that look west to Peak 10 and greet the sunrise as it comes up over Baldy Mountain. From here, residents ski down to the gulch to the base of Peak 9, and ski home by the Lehman Run. It’s not the most convenient ski-in and ski-out but the views from Sunrise Ridge cannot be beat. All of the homes in the Sunrise Point neighborhood are custom built, with a great variety of size, shape and style. All have open space to the west, and incredible views to Peak 10 and the rest of the Tenmile Range, as well as views to the east and Baldy Mountain. Learn more about the homes in this stunning subdivision, or check out the available Sunrise Point real estate listings below. Warriors Mark West is unique in that it has easy access to backcountry ski and hiking trails, and residents maintain the steep trails to and from the Breckenridge Ski resort. The roads in Warriors Mark are paved and offer one last steep climb for bike riders coming home to Sunrise Point. The free town shuttle stops at the bottom of White Cloud Drive, a short way from Sunrise Drive, and makes continuous loop throughout town. Size: 3398 to 8986 sq. ft. 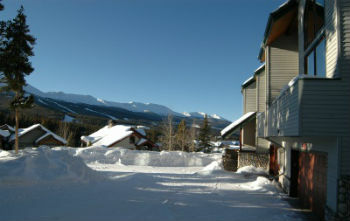 Amenities: views, basements, varied neighborhood, garage, flat parking area, access to trails and skiing. Find out more about the Sunrise Point subdivision! 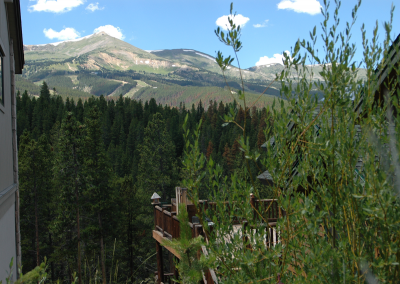 Call us at (970) 453-2200 or send us a message online to discuss your Breckenridge real estate opportunities. Listing information last updated on April 19th, 2019 at 8:48pm MDT.